Advanced technologies for waterproof designs make these lamps fully submersible. Lamp housings feature integrated lens and wire lead seals that keep out all moisture and dirt. Kits contain 2 waterproof lights, mounting hardware, switch with indicator light, and pre-terminated wiring harness with 30-amp relay and in-line fuse. Durable composite housing is virtually indestructible. Lights include replaceable 100-watt xenon H3 bulbs. 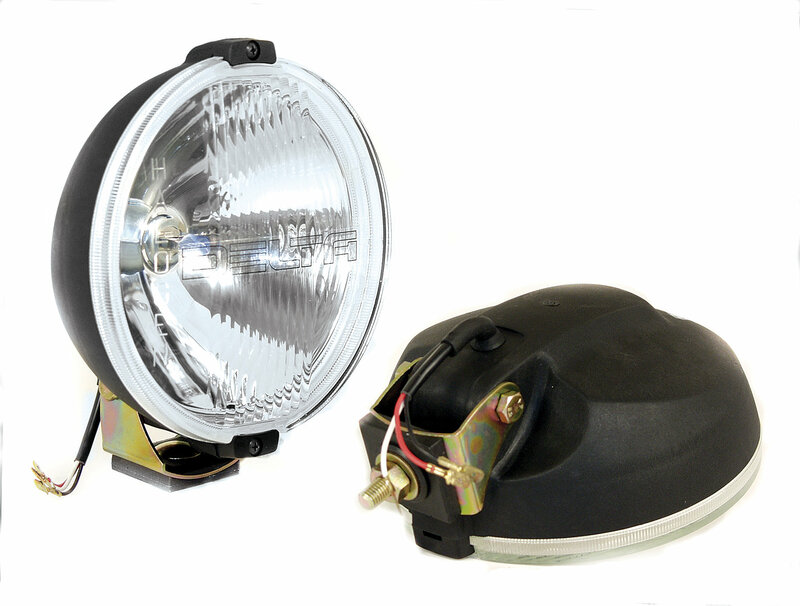 The reflector element features a pilot light that can be wired for use as a low-amp daytime running light. Lights have reflective range of 10,000 feet & measure 8 in diameter. Available in Black or Chrome in Driving or Clear Fog pattern. Five-year limited warranty. Made in USA.